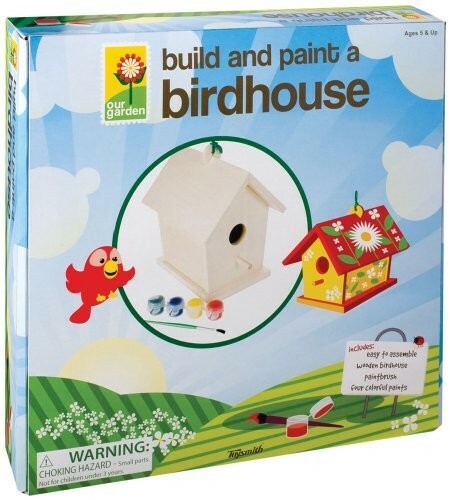 The Toysmith Build and Paint A Birdhouse is the perfect activity for a rainy day. Build and paint your own bird house to entice birds to your yard! 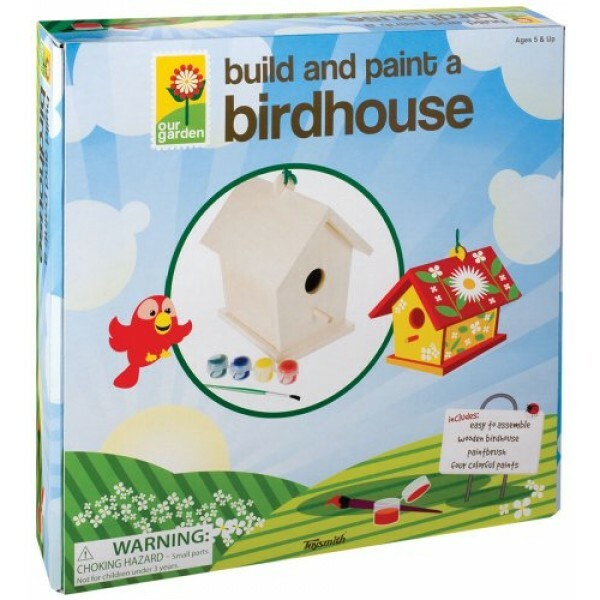 This fun kit includes everything you need to complete and decorate a bird house and includes a bird house, 6 paints and a paint brush. Finished size: 5.5" x 7" X 7". - 5.5" X 7" X 7"